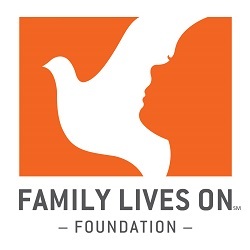 Family Lives On provides support to children and teens whose mother or father has died. We make it possible for families to continue to celebrate traditions or activities they used to do with their parent as a tool for healthy grieving. The Tradition Program is grounded in research and a number of clinically identified needs in bereaved children. Engaging in a ritual can provide structure and routine to the chaos of life impaired by loss. Traditions provide a more natural context for children and teens to talk about the person who had died. The longevity and continuity of our program nurtures these connections throughout the child’s development. Unfortunately, the Tradition Program is currently at maximum capacity. We invite you to join our waitlist. You will be contacted to enroll in the Tradition Program when space becomes available or funding is received to underwrite your enrollment. In the meantime, Family Lives On will add you to our mailing list to receive updates, tips on healthy grieving practices, and access to additional resources. Thank you for your understanding as we continue to expand and grow the Tradition Program for grieving children, teens and families. Family Lives On is a 501(c)(3) nonprofit organization based in Exton, PA that supports grieving children, teens and families nationally, regardless of race, gender, religion, socioeconomic status, or cause of parent's death. Services are provided at no cost to the family.